Beekeepers who want to extract honey without destroying the honeycomb should consider adding the best honey extractor to their processing repertoire. Honey extractors are a giant centrifuge with a basket in the middle that honey frames are placed in and then spun to remove the honey. Extractors can feature a radial basket, which faces the top bar of the frame outwards; or they can feature a tangential basket, which places the frame in the basket with one side facing outward. Radial basket extractors are typically preferred because the slope of the honeycomb cells makes it easier to remove the honey from centrifugal force. Honey extractors are divided into two categories: manual and electric. 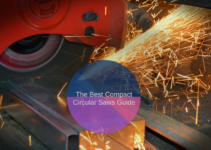 Both offer different benefits depending on your price range and the area of floor space you have to accommodate these machines. We’ve highlighted the top ten honey extractors available on Amazon, both manual and electric, and give you the rundown on which products are the best according to your current extraction needs. You’ll need to take into account the size of your current beehive operation to determine the size of the honey extractor that you’ll need. A good rule of thumb is that for a beekeeper with ten colonies or less, a three-frame extractor should be big enough. Beekeepers with a hive count of over ten but under 50 should consider a honey extractor capable of holding eight frames at a time. The Honey Keeper Pro 2 Frame extractor is designed to allow a small-time beekeeper to spin two frames at a time by hand. It features a tangential basket with the side of the comb frames exposed. It’s a great starting point for any beekeeper looking for a more comfortable way to extract honey from the comb without damaging it. The legs are designed to be tall enough so that you can place a five-gallon bucket underneath the honey gate to catch the honey as it runs out. The machine itself also features a tapered bottom so that the honey can easily drain. The only negative aspect of this honey extractor is that it’s not possible to spin the baskets both ways, so you’ll need to remove the frames and reverse them to spin the honey out of the other side of your frames. 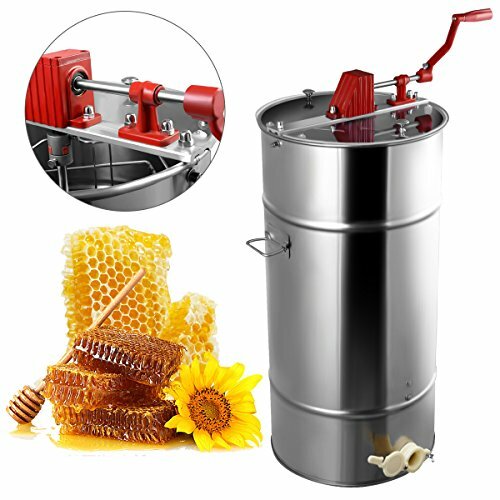 This honey extractor is similar to the first one that’s listed in that it’s a manual two frame honey extractor. However, this listing also comes with an electric uncapping knife to make removing the wax caps on individual cells a little bit easier. The unit is straightforward to assemble, and the legs provide enough clearance to place a five-gallon bucket underneath the honey spout. Moving up in size but still firmly in the manual category is the VIVO New Large 3 Frame Honey Extractor. 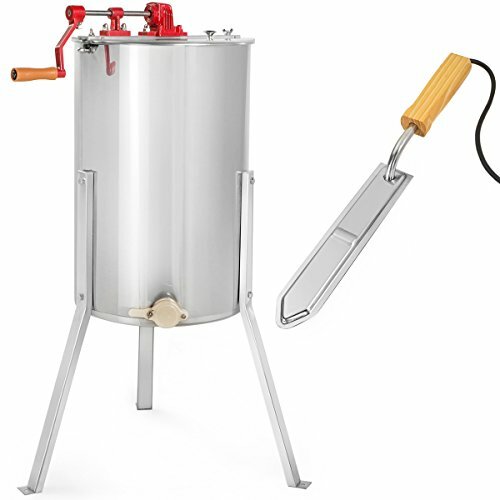 This honey extractor is shaped much like the previous two on the outside, but the inner basket is designed to hold three frames in a triangle pattern instead of two frames side-by-side. The manufacturer also notes that it is capable of holding large, medium, and small frames. The extractor doesn’t feature a groove at the bottom for getting the last bits of honey out, so you may have to tilt it when you get to the end of your frames. Still, if the two-frame extractors above aren’t enough for your honey operation, you might want to consider this larger three-frame extractor. VIVO also makes a four frame manual extractor that is about as large as you can get before you start pushing into the electric honey extractor territory. 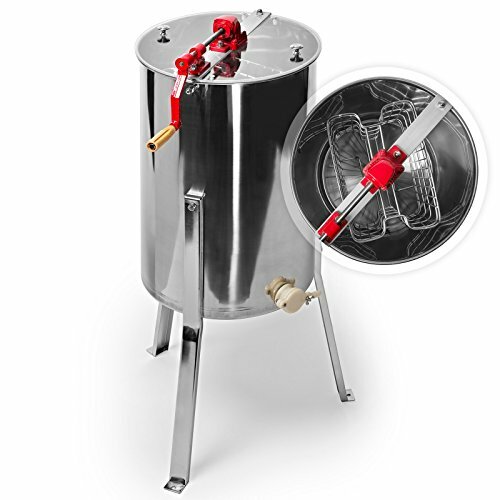 This extractor features a huge drum with 18.5″ diameter with a basket rack in a square configuration. VIVO says you can fit small, medium, and large frames, with up to eight small frames and four large frames fitting inside the basket at once. The legs that attach to the bottom of the unit leave plenty of room for a five-gallon collection bucket as you extract. 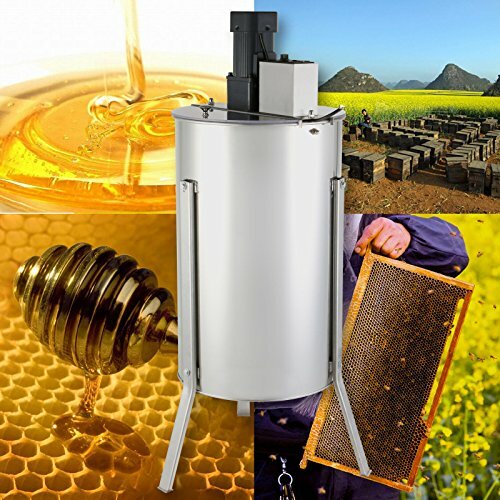 Beekeepers on a budget might want to consider the Goplus Large 2 Frame honey extractor. 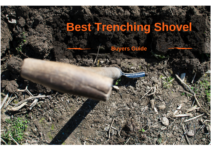 It’s a manual extractor that’s the cheapest on this list regarding price, but probably provides the most bang for your buck in the extraction process. It doesn’t come with any legs that you’ll need to attach, so make sure you have a table you can put this on. It’s a tangential extractor too, which means you’ll have to rotate the frames halfway through the extraction process to get all the honey out. 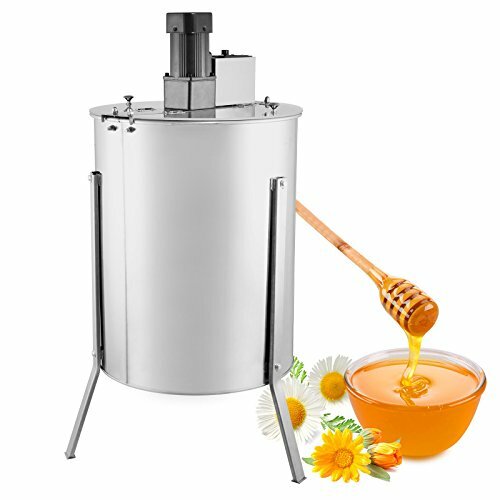 Despite that, it’s a compact honey extractor that gets the job done without a lot of frills and mess. The Honey Keeper Pro four frame honey extractor is our first electric extractor on the list and for a good reason. Electric extractors tend to be more expensive than their manual counterparts, but the Honey Keeper Pro is worth it because it’s capable of handling up to 4 standard deep, eight medium, or 8 shallow frames at once. It features a clear plastic lid on top for easy viewing of what’s happening inside the unit, and the stainless steel legs keep the unit 12″ off the ground. The motor included with the unit features an on/off switch and speed control that allows you to fine-tune the centrifugal force used to extract the honey from your frames. The motor’s cord is five feet long, so you’ll need to have an outlet at hand for extracting. VIVO also makes an electric four frame honey extractor that features the same dimensions as their manual four-frame extractor but comes equipped with a 120V AC motor to make extraction dead simple. The honey gate is positioned 15.75″ from the floor to make sliding a five-gallon underneath the extractor as easy as possible. 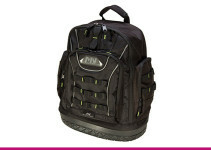 This model also features a built-in safety feature that will turn off the motor the instant the lid is opened and will turn it back on once the lid is closed. Like the VIVO manual extractors, the bottom of this extractor features a cone shape to make getting the last little bits of honey out as easy as possible. The internal basket is capable of holding eight small or medium frames, or four large frames at once. FoodKing makes several electric honey extractors with different sized baskets, but if you’re in the market for an electric extractor, you probably want the biggest basket option available to you. 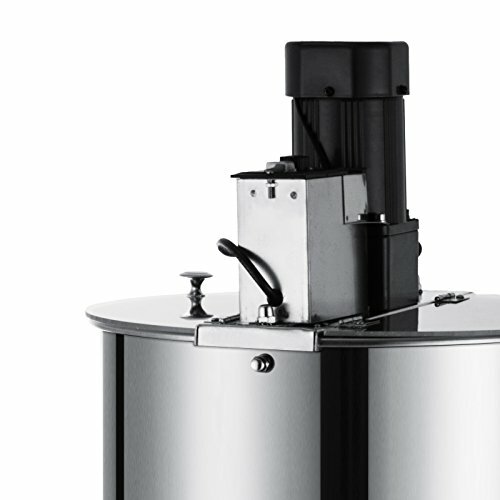 The FoodKing extractor is slightly larger than the VIVO extractor with a drum diameter of 20 inches. The bottom of the extractor features a cone for draining the honey through the honey gate, and it comes with a 120V AC motor with speed controls for operation. One complaint about this particular unit is that it is not high enough for a five-gallon bucket to fit underneath while extracting, so you’ll need to consider that if buckets are your primary method of honey storage. If you’re looking for something that’s a little bit smaller than the four-frame electric extractors that are mentioned above, then you might want to consider the OrangeA two-frame honey extractor. 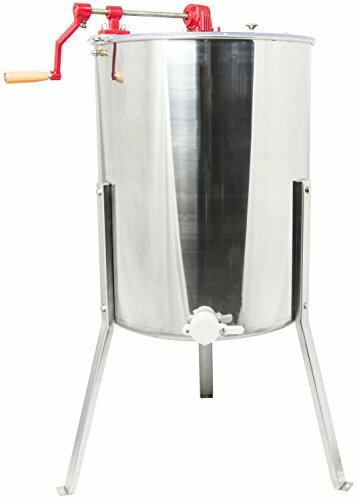 The 15″ diameter drum is the smallest honey extractor on our list, but if your extraction space is limited, this is the perfect unit to get the speed of electric extraction without taking up a lot of extra space. 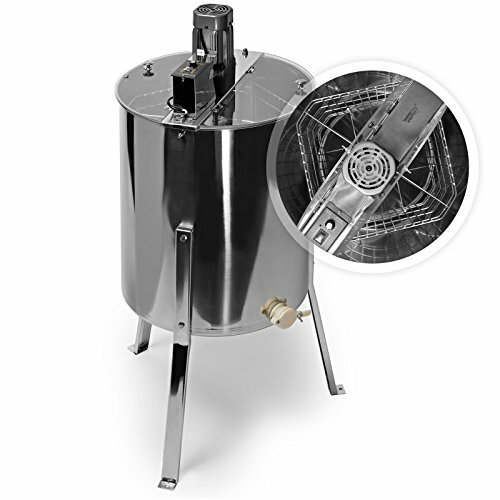 Due to its size, you won’t be able to fit a five-gallon bucket underneath the honey spout, but the unit does feature a conical shaped bottom for simple honey drainage. It’s powered by a 120V AC motor and uses tangential baskets, so you’ll have to turn the frames and run them twice to get all the honey out. 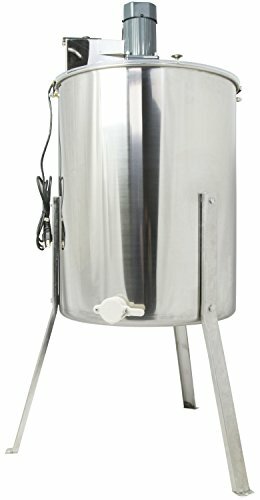 This honey extractor is another “skinny” electric honey extractor model for people who don’t want a bulky machine that takes up a lot of space. It’s available as a two-frame, three-frame, or four-frame extractor, depending on the model you want to buy. The smallest two and three-frame extractor features a diameter of 15″, while the larger four-frame extractor features a 20″ diameter. Like the OrangeA extractor mentioned above, this extractor doesn’t feature legs that are tall enough to accommodate a five-gallon bucket. The 120V AC motor that’s included features an on/off switch with speed control, so you can control the force at which the honey is removed from the frames. It also features a conical bottom to help you get every last bit of honey through the honey spout and into your collection bucket. Each one of the best honey extractors highlighted is ideal for beekeepers depending on your personal needs. Beekeepers who aren’t afraid of a little work can save some money by opting for a manual honey extractor, while those beekeepers with lots of honey frames to extract will want to consider some of the top-tier electric honey extractors we highlighted for efficient extraction. 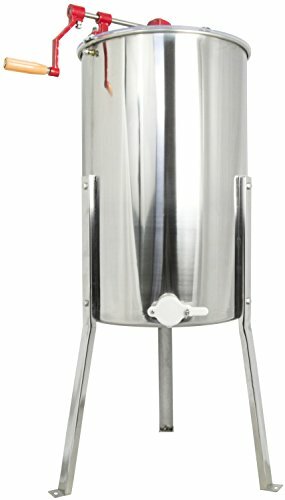 All of these best honey extractor models feature stainless steel construction and are easy to clean once the top has been removed. Simply spraying it out with a little soapy water from the water hose should be enough to keep these honey extractors in tip-top working order for your honey extraction.